"I am extremely excited to become part of a team dedicated to strengthening Nokia's position as the undisputed leader of the mobile communications industry, with a relentless focus on meeting the needs and expectations of customers. Nokia has a unique global position as well as a great brand upon which we can build. The company has deeply talented and dedicated people, and I am confident that together we can continue to deliver innovative products that meet the needs of consumers. The Nokia slogan clearly states our key mission: Connecting People, which will acquire new dimensions as we build our portfolio of products, solutions and services." 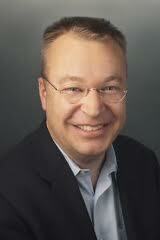 shares new Nokia CEO, Stephen Elop. Prior to holding this post, Elop was President of Microsoft Business Division -- leading his team in achieving record profits via the launch of Microsoft Office 2010. Before joining Microsoft in 2008, Stephen Elop held senior executive positions at Adobe Systems and Macromedia. Nokia's outgoing CEO Olli-Pekka Kallasvuo (known to the tech community simply as OPK) will be stepping down from his post on September 20, likewise vacating his seat on Nokia Board of Directors. He's set to receive a severance package worth 4.6 million euros and fair market value of 100,000 Nokia shares (roughly worth $1,000,000). Given his former post in Microsoft and background in software development, what changes do you expect Elop to implement in Nokia? Do you think he will lead Nokia towards creating Android and Windows Phone 7 handsets?